Children’s involvement in activities outside of school hours exposes them to important social environments. After-school activities such as art and music classes, sports leagues, and community groups provide distinct and important experiences that help children to build relationship skills and gain competencies. Children who are more involved in extracurricular activities are less likely to leave school before graduation. Children thriving in this dimension are able to enjoy a variety of experiences after-school. They spend at least 2 days a week participating in some sort of organized activities – music lessons, sports, art classes, clubs – which offer quality social experiences and opportunities to learn. This is balanced with unstructured time during which they can play with friends and express their creativity. Thriving children have a say in the activities they pursue and how they structure their time. Children’s involvement in activities outside of school hours exposes them to important social environments. Participation in after-school activities has been shown to boost children’s competence, self-esteem, school engagement, personal satisfaction and academic achievement. They may meet new friends, strengthen existing friendships and feel like they belong to a group of peers with shared interests. After-school programs also provide an important opportunity for children to develop supportive and meaningful relationships with caring adults. The MDI asks children how many days in the past week they spend doing organized activities between 3pm and 6pm. How does the child spend their free time each day? Children in the middle years also need time to relax and play and should have some choice in how they spend their free time. 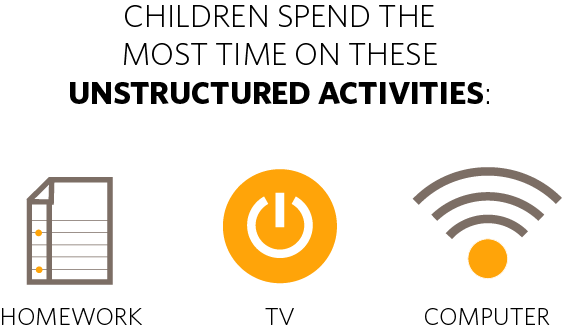 The MDI asks children how much time per day, on average, they spent on unstructured activities during the previous week between 3pm and 6pm. Children have the opportunity to describe the reasons they aren’t doing the activities they wish they could be doing. These reasons may include having to go straight home from school, being over-scheduled, having too much homework or concerns about cost and transportation. 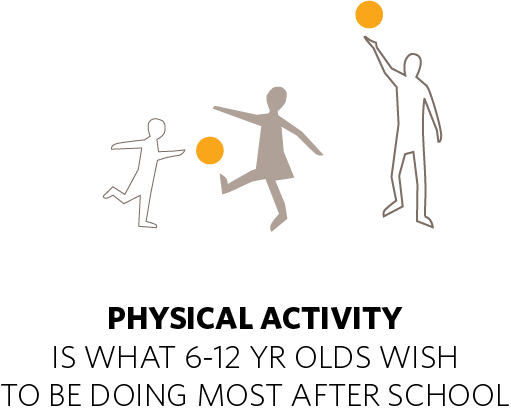 What do children want to be doing after-school? Sometimes children in the middle years aren’t participating in after-school activities because the options available don’t interest them. The MDI gives children a chance to list the activities they wish to be doing. A two-page summary of this dimension, including research highlights and action ideas.